Hello, Hope your day is off to a good start! 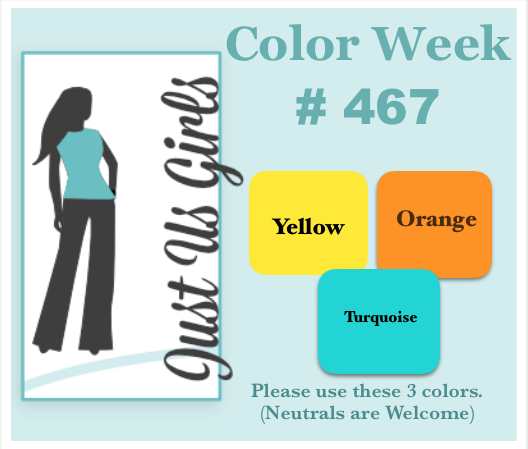 We have a bright and happy color trio for you this week at Just Us Girls! 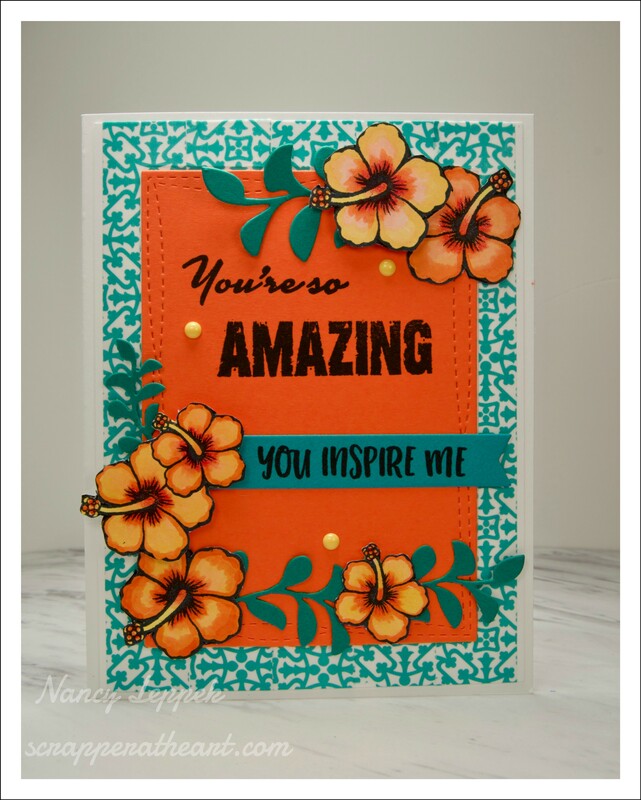 I kinda stepped out of fall leaves for a moment, ( and I imagine you are so happy about that) and went back to summer for this card. However, we had a bit of a cold front sweep down to Florida finally! It is suppose to be a high of 75 today, and that is going to be just FABULOUS! 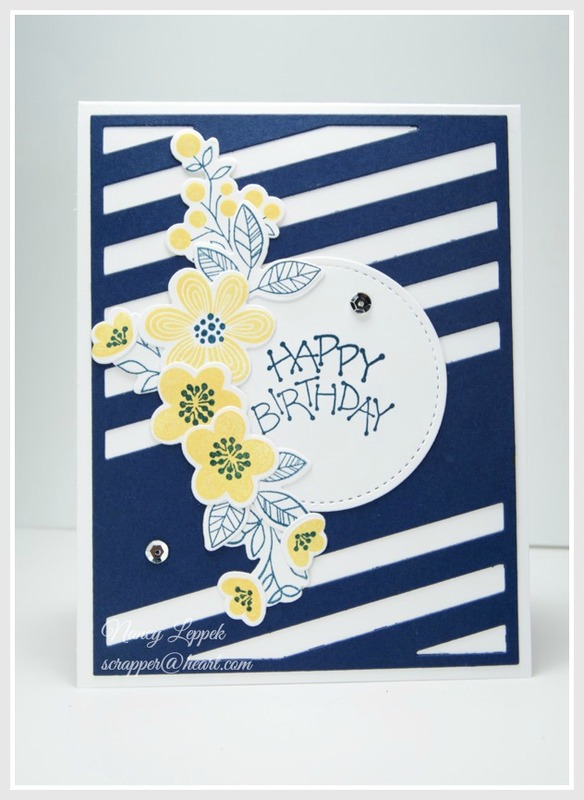 Today’s card is a mix of MFT and Verve. The you inspire me part of the sentiment was printed on the computer. I used Copics to color my Hibiscus. Please come by JUGS and see how the rest of the team was inspired with these colors, along with our guest Claire. 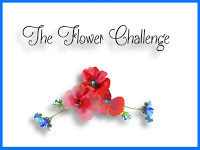 Categories: Cards | Tags: Card making, Cards, color challenge, Flowers, rubber stamps, stamping, Verve Stamps | Permalink. 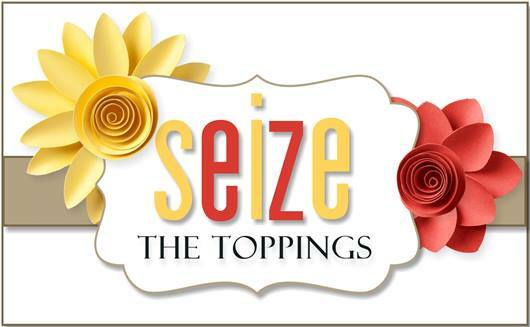 Seize the Birthday and a trip to MFT! Hello Friends, I trust you had a wonderful Holiday Season and are ready like me to get back to creating again! Not that I didn’t make any cards over the Holidays, as I did, but now it’t time to gat back to my Challenge blogs and somewhat of a routine again. We all do better with routines don’t you think? I think you spend less money that way. Speaking of Spending Money! 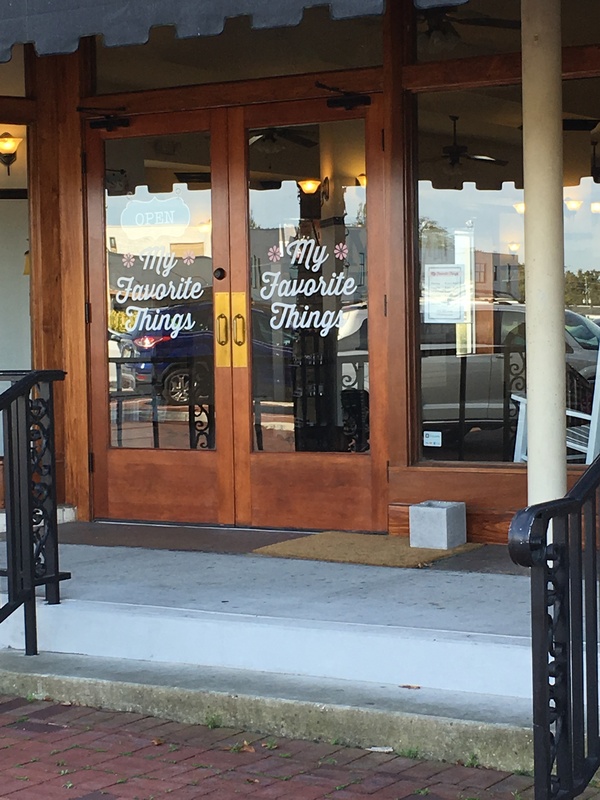 Guess who finally made it to My Favorite Things Store yesterday! Yes me! I know you’re a bit jealous and you should be! WOW! All that wonderful MFT right at your fingertips! It was so much fun and a bit overwhelming. It would have been easier to say…let me have one of each please! LOL My hubby was a trooper, he was taking pics with his phone of all the cards he liked, and then helped me narrow down my selections. His choices made sense! 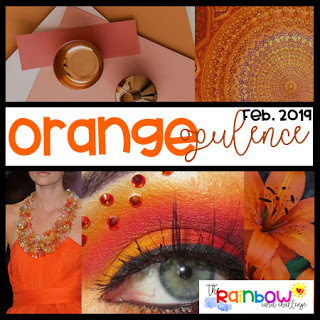 The store is about 2 hours and 20 minutes from our home, but Hubby and I were already in Mount Dora for a few days of fun and R and R, and when I mentioned it was only 11 miles down the road, he said we were to close not to stop. I am a lucky gal! Okay, enough of me bragging….right? 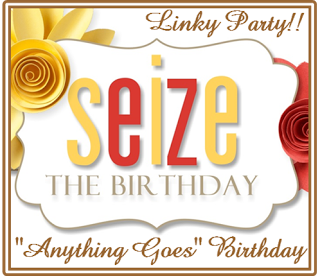 It’s time for our first challenge of 2017 over at Seize the Birthday and it just so happens to be time for NO Topping! So that leaves it wide open for you to get those creative juices flowing again. Just remember it has to be a Birthday card. We are also welcoming a new Surprise Party Guest for the next tow months. It happens to be Rahmat. She has been such a constant supporter of STB and it was past time for me to invite her to be our Surprise Guest. Welcome Rahmat…we are so glad to have you joining us! Here is my card. I was a bit rushed yesterday when we got home to get everything done and ready to return to work tomorrow so this photo doesn’t quite do this card justice. It’s much sparklier and pretty in person. It just so happens to be made with mostly MFT supplies, but not the ones I got yesterday. 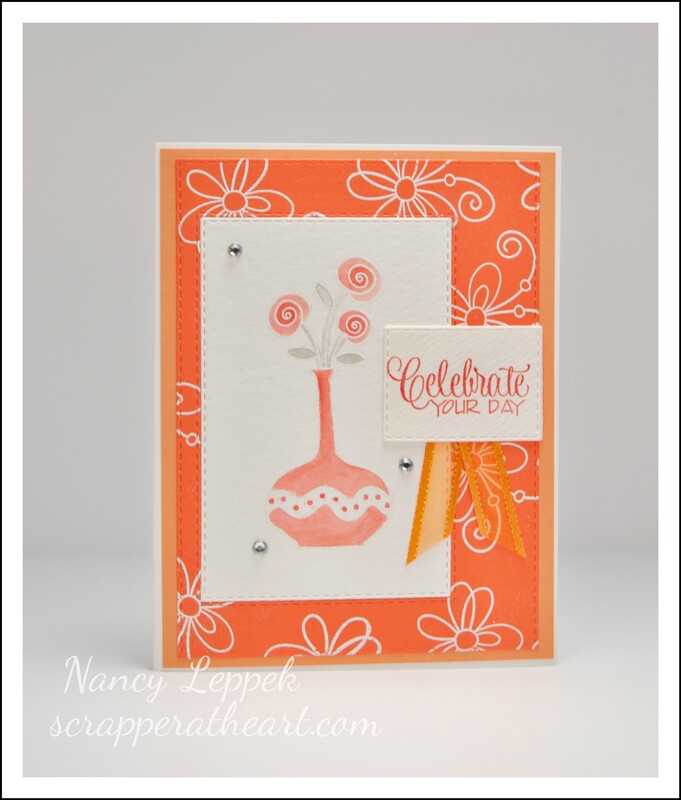 The stamp and die set is called Bold Blooms. I have been a Very, Very bad girl this month when it comes to spending! What can I say! It’s all the discounts they have been offering! 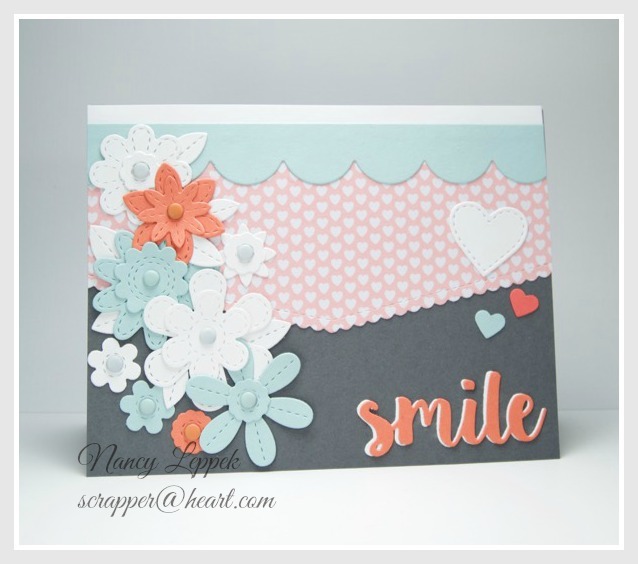 LOL The only 2 things that are not MFT is the stitched circle, that is from Stampin Up, and the sentiment I have had forever. 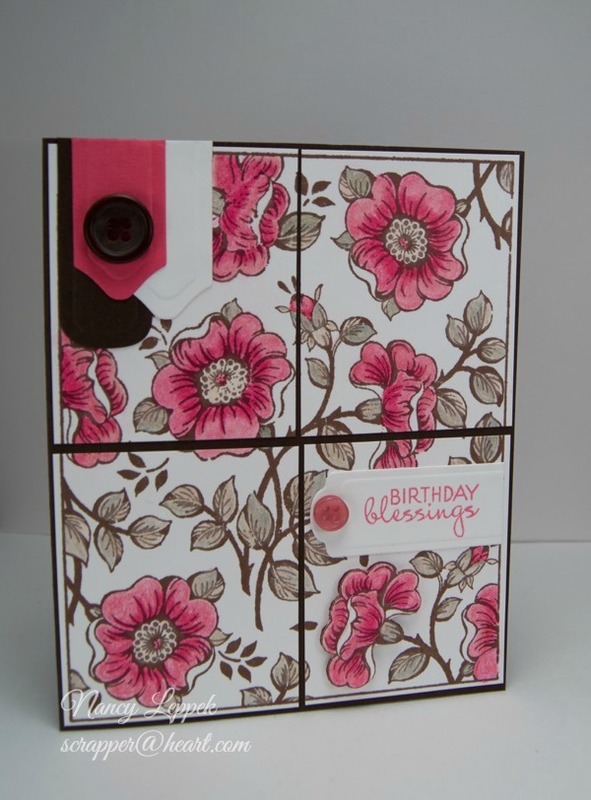 Categories: Cards | Tags: Card making, Cards, Flowers, Happy Birthday, my favorite things, rubber stamps, stamping, Stamping Up | Permalink. 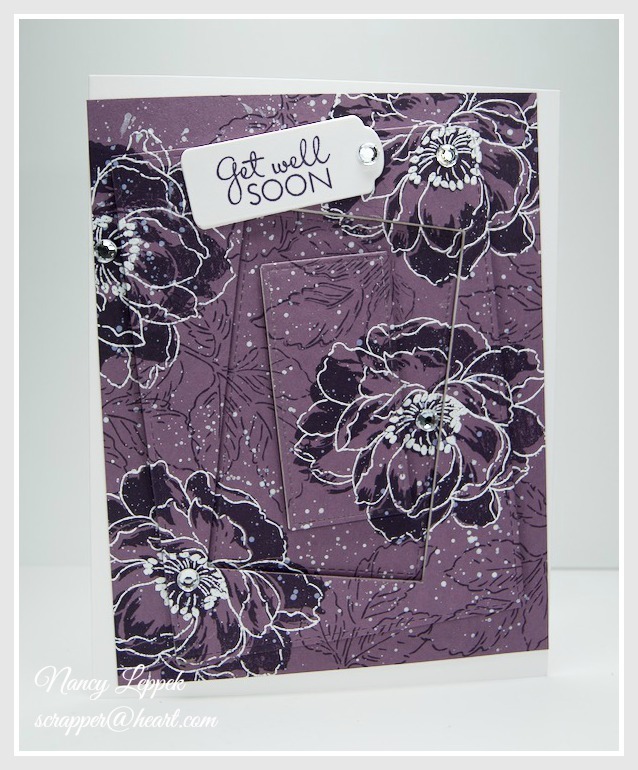 Categories: Cards | Tags: Altenew stamps, Card making, Cards, Flowers, Get well, heat embossing, rubber stamps, Thinking of you | Permalink. Happy Weekend, Whoop Woo!! 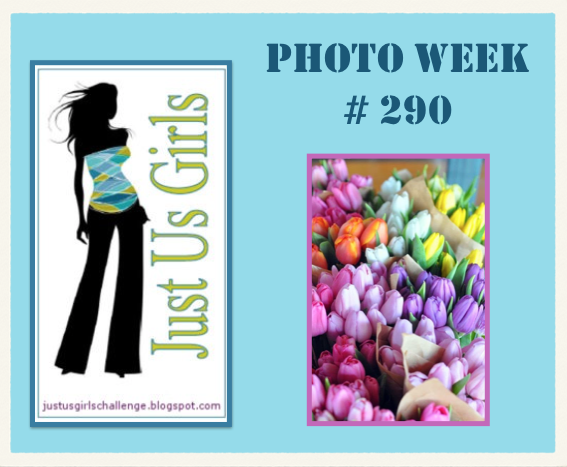 Today over at Just Us Girls it’s time for our Photo Week and boy do we have a pretty one for you! Maria has chosen a photo with beautiful tulips for us to get inspired by. It definitely inspired me as I decided to make 3 cards instead on 1. 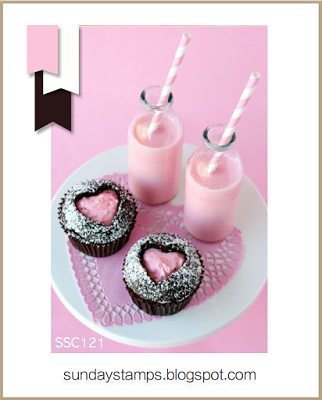 I had another good reason to make 3 cards, as it was secretaries week. 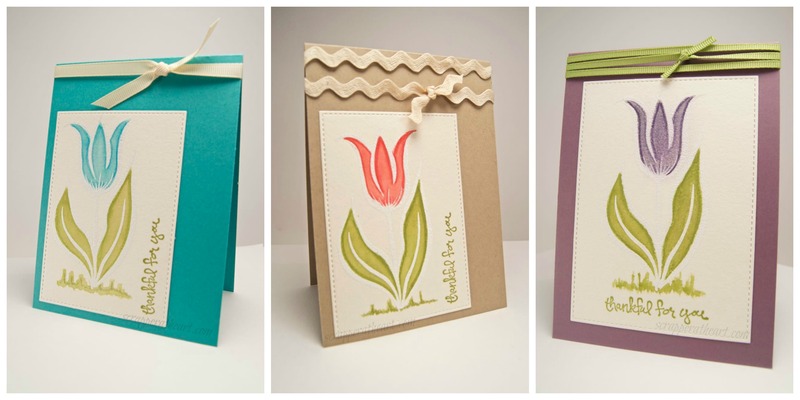 I made each one of my fabulous secretaries a card and put a gift certificate inside. I even made an additional 5 more cards for my DH’s secretaries as well. You might see those at a later date. 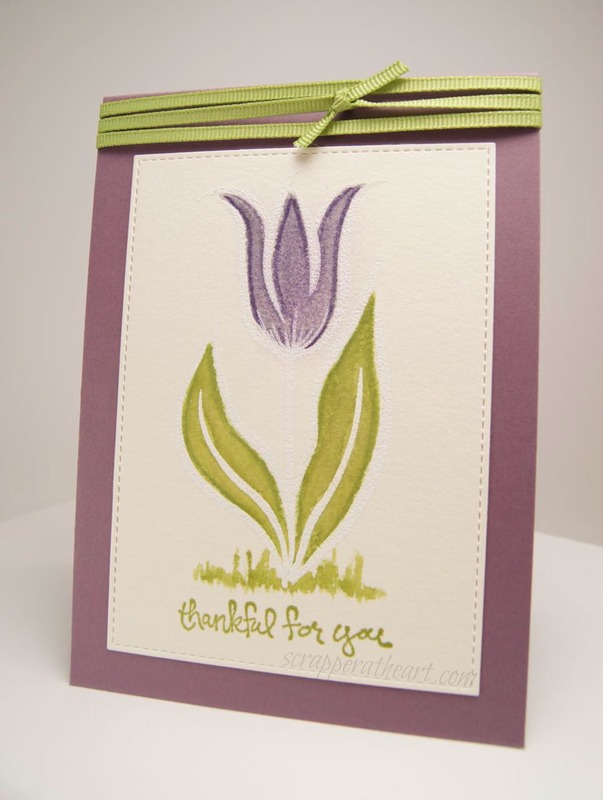 Here is a large photo of the graphic so you can see the beautiful tulips. 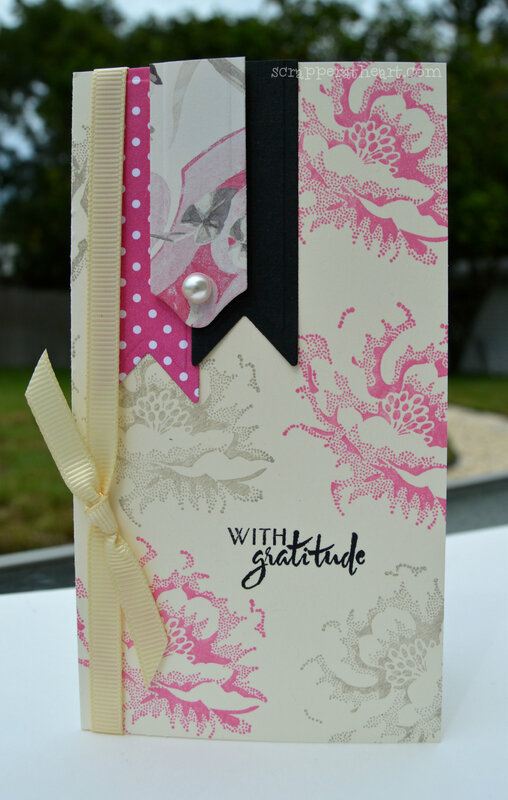 I also need to thank our Guest Designer Kathy over at JUGS for being with us this month, you have been a joy to have on board! Thanks so much and hope to see you playing along in the future! Here are individual shots of each card as well. 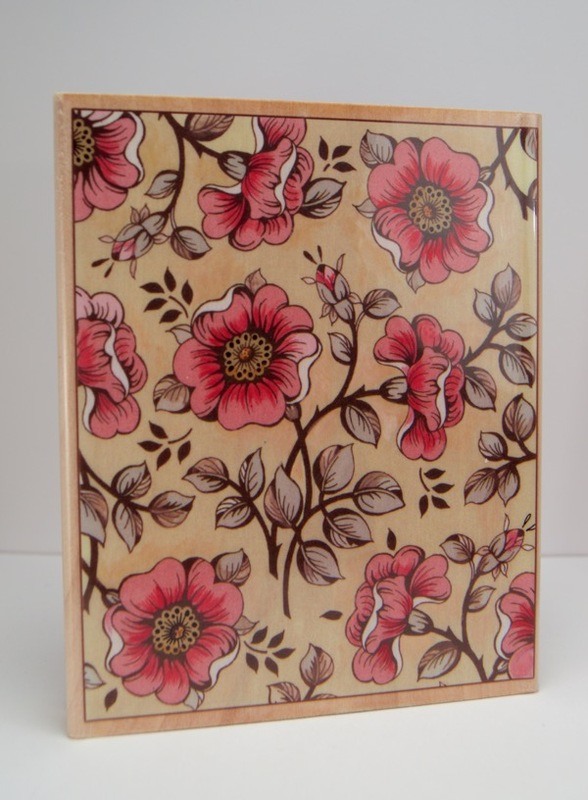 Categories: Cards | Tags: Card making, Cards, Flowers, rubber stamps, Thank you card | Permalink. 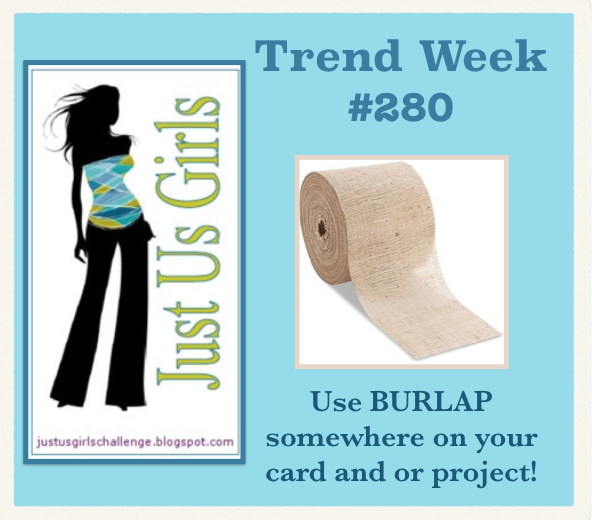 Hello Friends, Have we got an awesome Trend Challenge over at Just Us Girls, Ina had the brilliant idea to use burlap on our projects this week! Boy was this fun! I need to show you where my idea for this card came from…it is only the right thing to do. I found this card on Pinterest probably a year or more ago and when I saw Ina’s challenge the idea hit me! I got so excited! LOL Here is the card! Isn’t it the coolest card you have ever laid eyes on? I LOVE it! 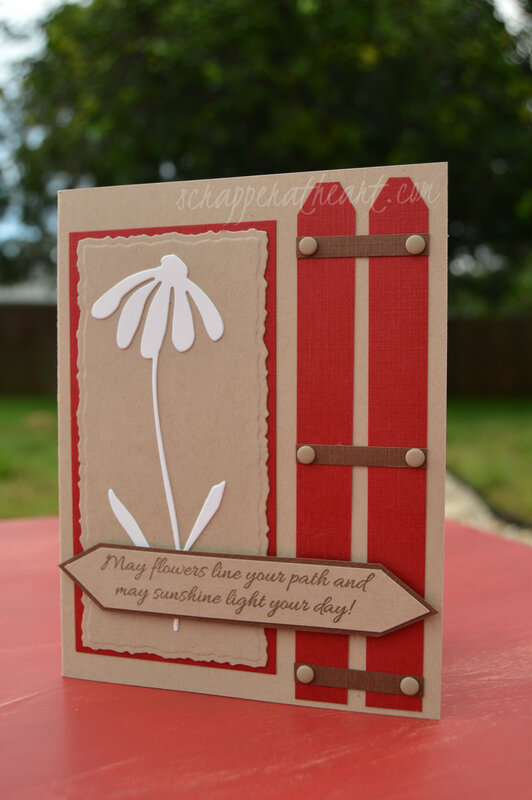 Now here are a few of my details: The flowers I used are from Stampin Up. The DP is Who Knows? 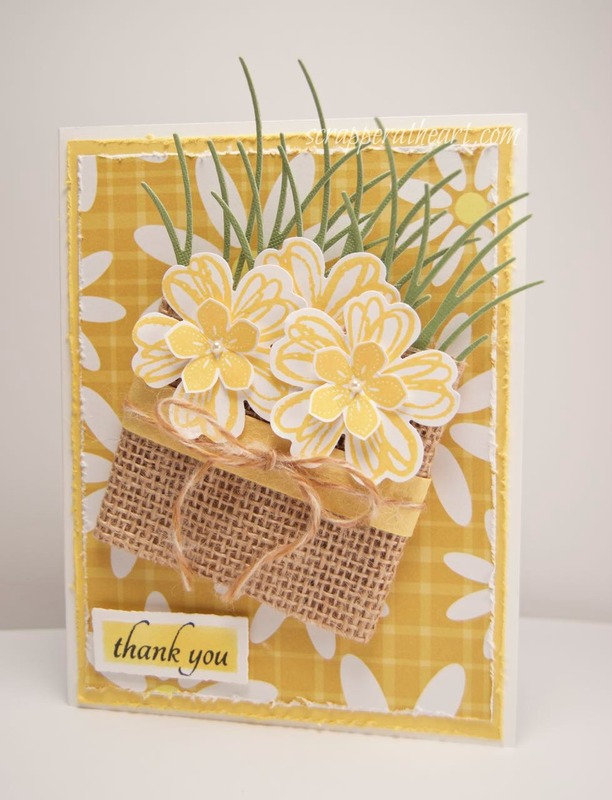 The grass die is from Impression Obsession and the Thank You sentiment is from Verve. I put a belly band around my basket which I think worked well so the twine wouldn’t get lost. Some inking, distressing, pop dots, twine, pearls, and some hot glue to hold my burlap together and I was done. 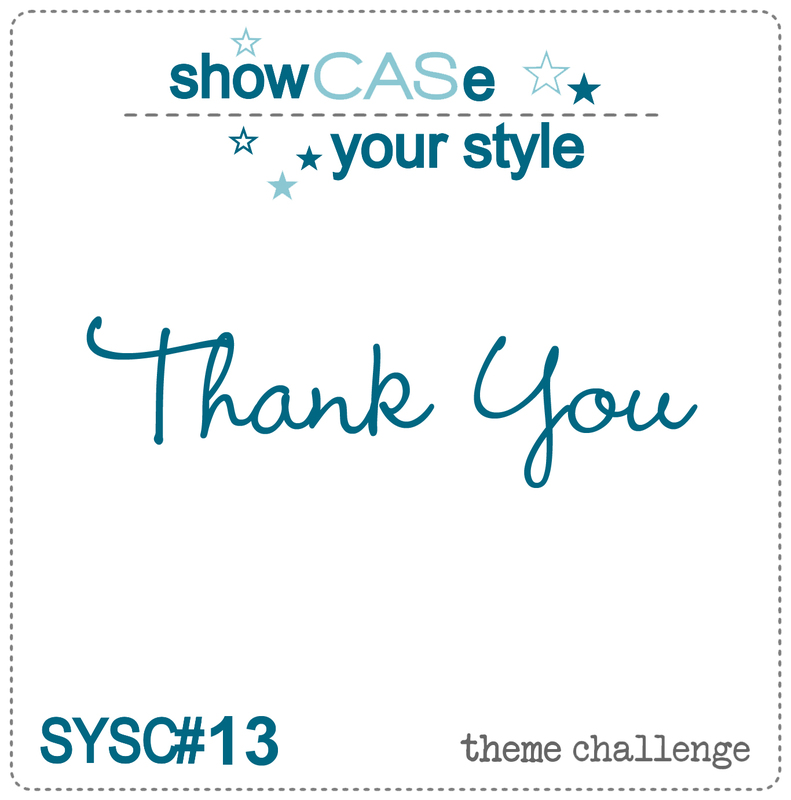 It was a very quick card and so fabulous to boot! Sorry for tooting my own horn…but someone has to right? Now head on over to Just Us Girls and see what my team and our Guest Designer Stephanie has done with their burlap…and while your there you might as well join us! 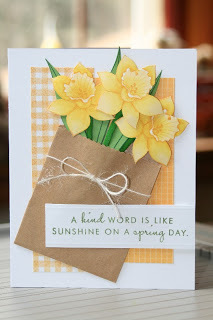 I am also going to link this up over at Addicted to Stamps and More Challenge blog where it’s Anything Goes. 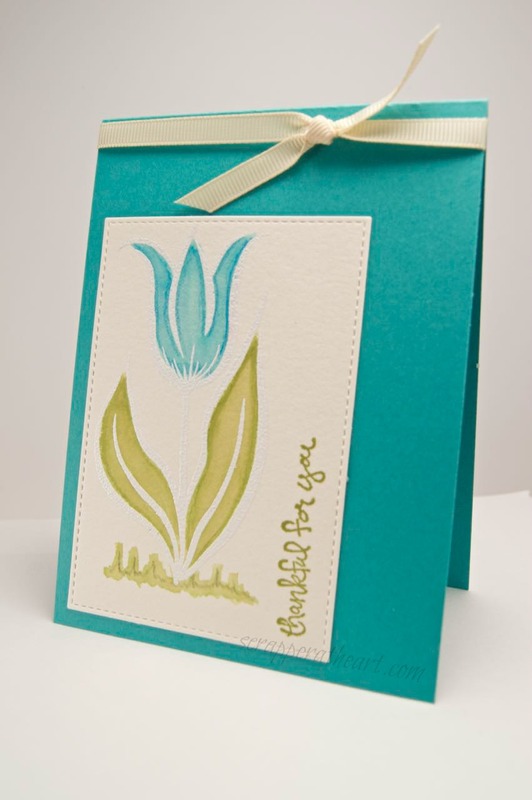 Categories: Cards | Tags: Card making, Cards, Flowers, rubber stamps, stamping, Stamping Up, Thank you card, Verve Stamps | Permalink. 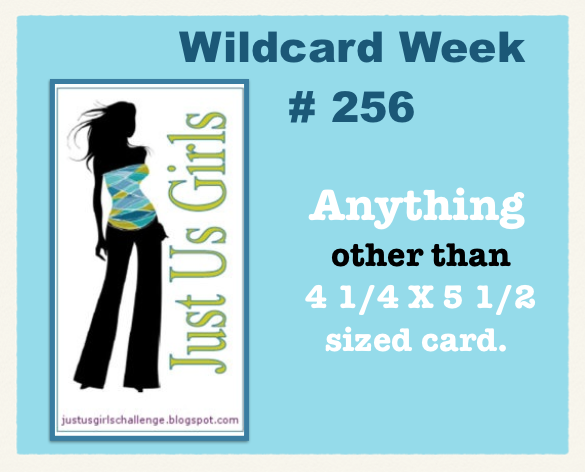 It’s Wild Card week at Just Us Girls and Marisa is hosting this time. hosting with us at JUGS and to say I am going to miss her is a HUGE understatement!! from the other side of the fence! We would love that! be extra busy! It has been a pleasure working alongside you! Okay here are some details on my card! and it came together just as I had hoped. to stamp with it again! It may just be the most beautiful flower stamp I own. The possibilities are endless with this set! The banners were all made with nestabilities. 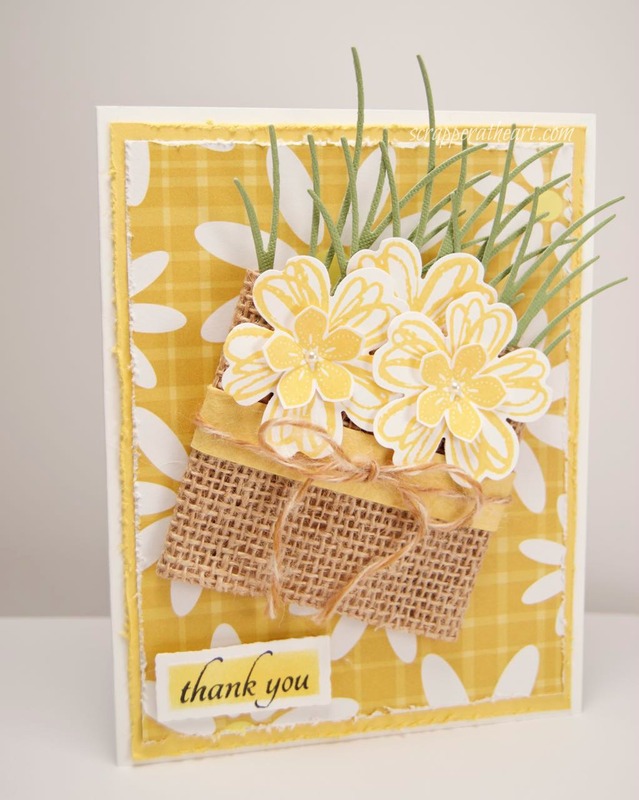 leave some love for Marisa and Kristie our guest Designer for the month! She did a fabulous job!! 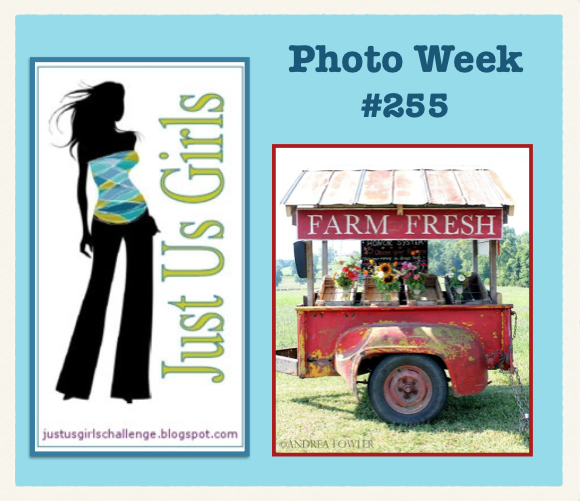 for our Photo Week Challenge # 255. I loved it right when I saw it because it has endless possibilities! That’s what so cool about a photo challenge, everyone interprets it differently. you will realize how vastly different some of our creations are! so for now I am back to the great outdoors! from the couch! I sure hope this is just a temporary thing! Alright, I think I have rambled long enough. the running as a possible Guest Designer for the month of October. Take care and enjoy creating! 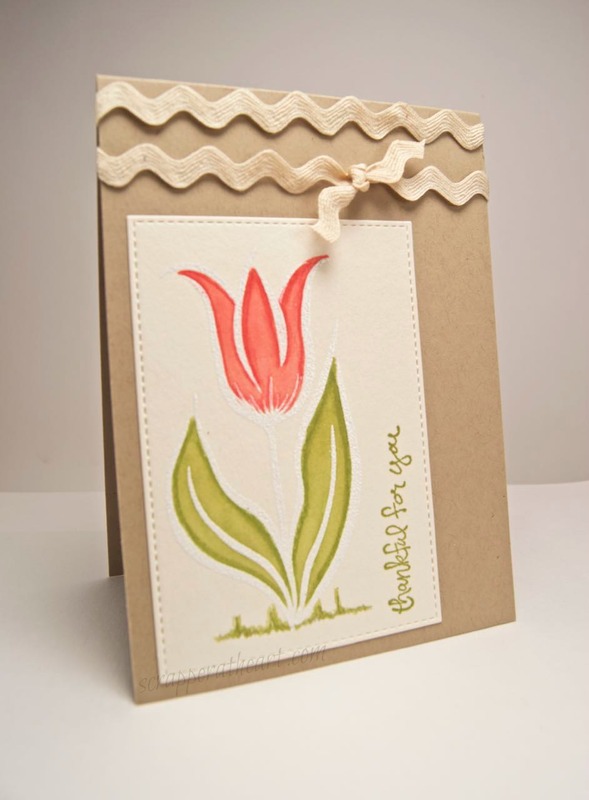 Categories: Cards | Tags: Card making, Cards, Flowers, Gina K designs, Inspiration, rubber stamps, stamping, Thinking of you | Permalink.